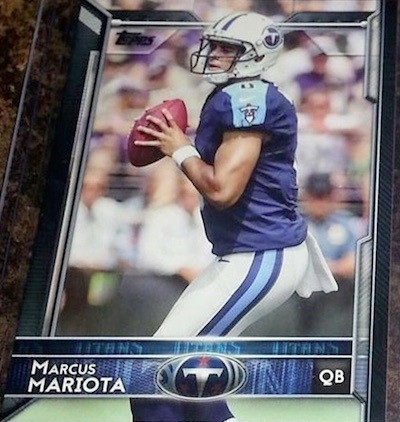 Adding another wrinkle to the rookie options available from the Topps Football releases, 2015 Topps Football Retail Variations are featured in the retail factory set. 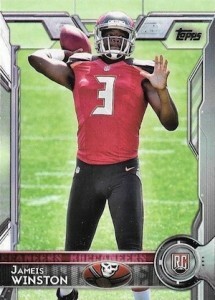 Focusing on five key rookie players, collectors can find five exclusive image variations in each set. 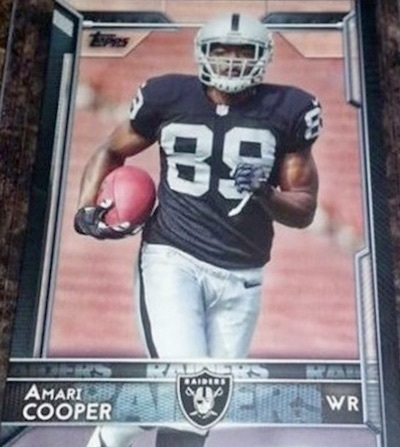 Included alongside the full 500-card base set for 2015 Topps Football, collectors looking for the variations should be certain they have the retail factory set versus the hobby version. 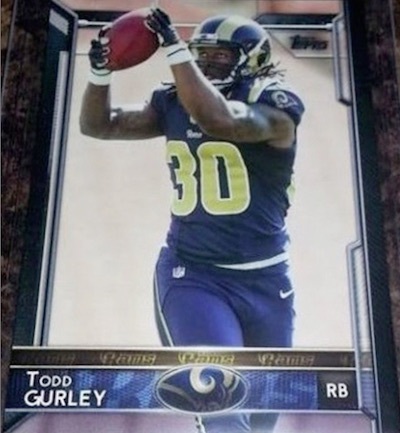 The hobby factory set includes five exclusive Orange parallels instead of rookie image variations and notes that on the box. 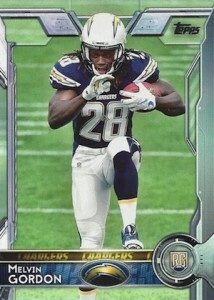 However, the variations are much easier to collect as all five are found in each retail set. 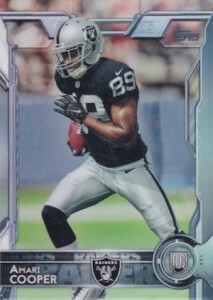 It is important to know that each of the five players also have another variation found in the traditional Topps Football release. 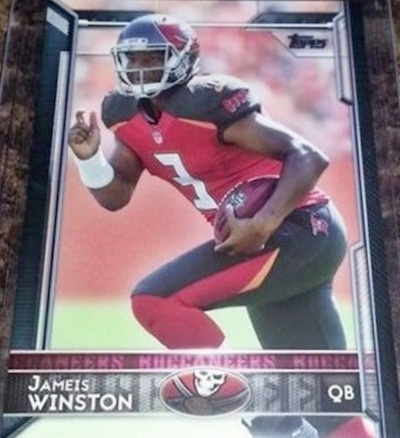 These factory retail-exclusive cards are essentially the third base card option for Jameis Winston, Marcus Mariota, Amari Cooper, Todd Gurley and Melvin Gordon featuring the Topps flagship design. Click on the images or listings to shop for singles on eBay. Why would anyone complete this set. It’s peanuts. 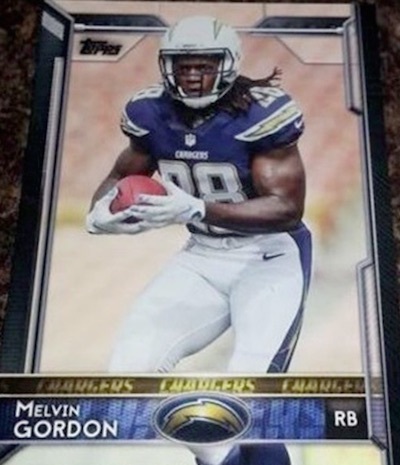 Topps will pump out millions of these cards and try to get you to buy a whole box just to get some color parallel while you are throwing the rest of the cards in the recycle. I wouldn’t pay $5 for the complete set. I’m with the above poster. 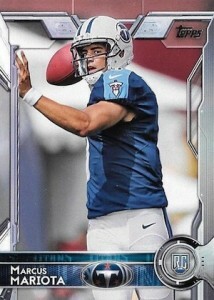 This years Topps football is junk. Dark and blah. Garbage. 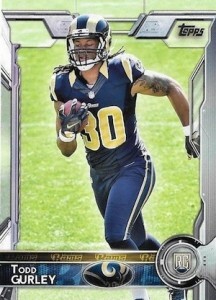 Also, the Chrome version is going to look hideous.